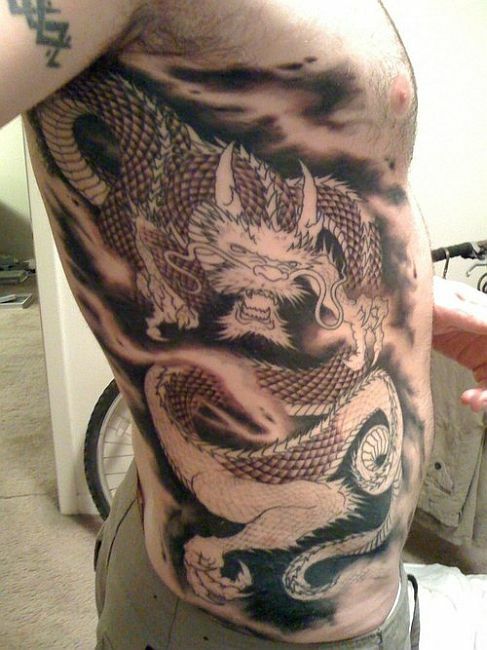 This impressive torso-covering dragon tattoo has been created by Chris Black of Electric Expressions in New Orleans, LA. Though the dude who served as his canvas has not been named, we are quite sure he is going to get a lot of requests to loose his shirt if people were to discover his identity. We love the intricacy and detail putting the tattoo though we really wish the artist had experimented a little more with colors!